PACE – Port Angeles Citizens for Education – We're All Riders! 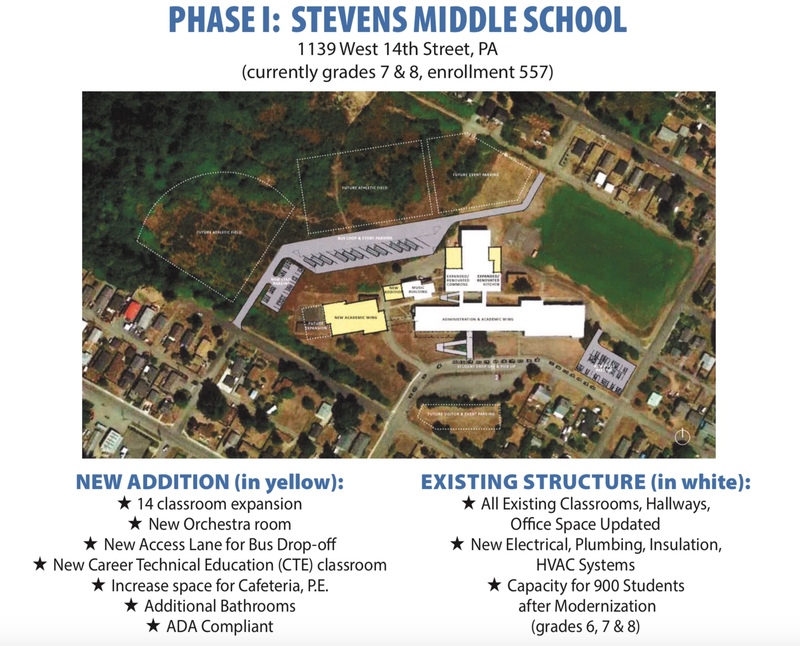 Find out everything you need to know about the upcoming levy and plan to improve Stevens Middle School in this video produced by the Port Angeles High School Cinema and TV program. 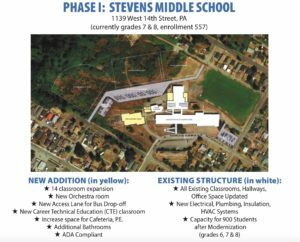 Why Stevens Middle School now and not Port Angeles High School? New state mandates that weren’t in existence at the time of the 2015 bond calling for lowering class sizes need to be addressed. By moving 6th grade back to Stevens Middle School, it creates space at every elementary school. Why is our District asking for funding? Our facilities are well cared for, but are aging, some older than 60 years. Port Angeles High School (7 buildings built in the 1950’s), Franklin Elementary (1954), Hamilton Elementary (1956) and Stevens Middle School (1960) are four critical buildings needing to be brought up to standards. A $98 million bond measure in 2015 to fund a new high school did not pass. We listened to voters when they said: (1) $98 million was too much to ask for all at once, (2) $181,724,031 million, interest included, was too much to pay over a 25-year period, and (3) what is the long range plan beyond just the high school? Why a Capital Projects Levy? A Capital Projects Levy is a short-term, interest-free, voter-approved measure that provides funding for modernization and/or replacement of school buildings. A Capital Projects Levy would help the District to begin to address some facilities projects in smaller steps. A Capital Projects Levy has no interest payments. Safety/Security Upgrades, Space/Additional Classrooms, Infrastructure Updates, Energy Efficiency. A 6-year, $46.7 million Capital Projects Levy would cost $2.47 per $1,000 of assessed property value.